With our fleXipod proof of delivery application, the data that your mobile workers capture is controlled by you. Using the fleXipod central management console, you can define workflows, data capture requirements and even the terminology that is displayed, ensuring compliance with necessary procedures and consistency in on-site customer service. 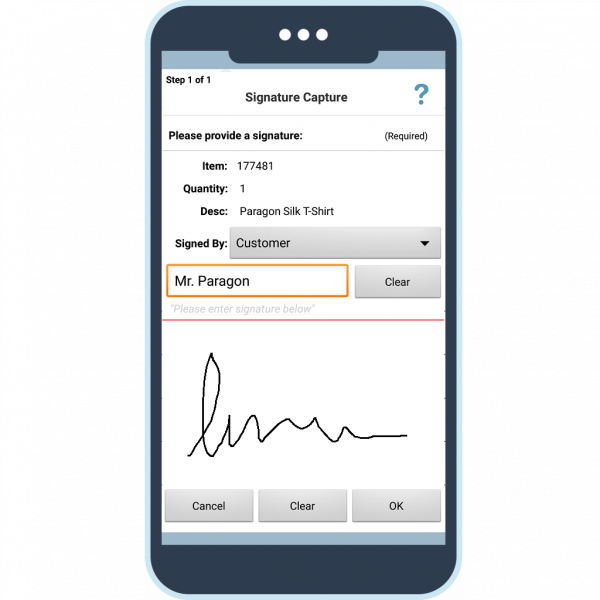 Replacing delivery paperwork with streamlined electronic processes also simplifies mobile tasks for your drivers; improving productivity so more jobs may be completed per day or additional services can be introduced to improve your customer experience. View all job data – Your mobile workers can see all of their jobs for the day, drill down into individual job details, view customer information and activate the device’s Sat Nav directly from the application – all designed to increase the chances of a successful first time delivery. Capture required data – Using step-by-step processes your mobile workers can collect detailed POD data and operational information throughout the day including business specific forms such as on-site customer satisfaction surveys or vehicle checklists when they login to the application. Record driver breaks – Driver breaks, such as meal or rest stops, can be managed and recorded within the fleXipod proof of delivery application giving office-based staff enhanced visibility of mobile activities and increasing the accuracy of estimated times of arrival and automated customer notifications. Debrief at container or item level – Using a configurable setting you can allow your mobile workers to debrief full containers, such as pallets, speeding up the on-site process, while retaining the ability to debrief individual items to deal with exceptions, such as high value items. Skip jobs – You can give your mobile workers the power to “skip” jobs should customer requirements change on-the-fly; the reason for delay is captured and the system prompts a later redelivery attempt. Using the fleXipod central management console, your office-based staff can control the processes your mobile workers must follow and receive real-time data from the fleXipod proof of delivery app. With increased visibility of field activities, operational staff can proactively manage daily schedules, mobile workers and customer service. Get in touch with one of our experienced team today to arrange a demo or see the fleXipod proof of delivery software in action in our Technology Centre.